This is the rugged Wrangler pickup of our dreams. It’s been 26 years since Jeep last built a pickup truck, as the . But now the wait for a new rugged Jeep pickup is finally over: meet the all-new 2020 Jeep Gladiator, which has finally made its world debut at the 2018 LA Auto Show after , when it was , and recently . 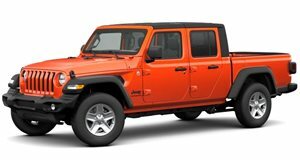 Billed as “the most capable midsize truck ever,” the 2020 Jeep Gladiator rides on a traditional body-on-frame chassis and the body uses high-strength aluminum doors, hinges, hood, fenders, windshield frame, and tailgate. Its rugged design is immediately distinguishable thanks to its traditional Jeep design cues. 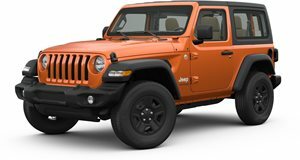 The Wrangler’s signature seven-slot grille has been retained, but the grille slots have been widened to increase the air intake to assist with the increased towing capacity. LED headlamps and fog lamps are available for Gladiator Overland and Rubicon models, adding to the truck’s modern look. Gladiator models equipped with LEDs also feature daytime running lights. LED lighting is also available for the square taillights and there’s also a wide tailgate opening. The tailgate is capable of stopping in three positions, while cargo is easily secured with a power-locking tailgate. The steel bed features under-rail lighting, an external 115-volt, three-prong power source and strong integrated tie-downs. A full-size spare tire and mount is located under the bed just behind the rear axle, which is capable of holding up to a 35-inch tire. Inside, the rear bench can fold flat to provide more storage space. When the rear seats are folded, LED lights on the quarter trim panels illuminate the storage space behind the seats. Drivers have access to a standard 3.5-inch instrument cluster, which can be upgraded to an optional 7-inch unit with a layout configurable in more than 100 ways. The center console features a standard 7-inch or an optional 8.4-inch screen displaying the latest version of FCA’s Uconnect infotainment system. More than 80 active and passive safety systems are available, including Blind-spot Monitoring, Rear Cross Path detection, forward-facing off-road camera, standard ParkView rear backup camera with dynamic grid lines, Adaptive Cruise Control and electronic stability control (ESC) with electronic roll mitigation. Powering the Gladiator is the Wrangler’s 3.6-liter V6 Pentastar gasoline engine, which delivers 285 horsepower and 260 lb-ft of torque. The V6 unit is mated to a six-speed manual gearbox or an optional eight-speed automatic. From 2020, Jeep will also offer a 3.0-liter six-cylinder diesel with 260 hp and 442 lb-ft of torque available with the eight-speed automatic. Power is sent to all four wheels through one of two advanced 4x4 systems, with both offering full-time torque management for optimal grip in tricky terrain. The Command-Trac 4x4 system, standard on Sport and Overland trims, features a two-speed transfer case with a 2.72:1 low-range gear ratio, and heavy-duty third-generation Dana 44 front and rear axles with a 3.73 rear axle ratio. For the Gladiator Rubicon, a Rock-Trac 4x4 system features heavy-duty third-generation Dana 44 front and rear axles with a “4LO” ratio of 4:1. A 4.10 front and rear axle ratio is standard, as are Tru-Lok locking differentials. The Rubicon also has an improved total suspension travel with an electronic sway-bar disconnect. The approach angle of the Gladiator is 43.6 degrees and the departure angle is 26 degrees. Jeep also promises best-in-class towing of 7,650 lbs and a 1,600-lb 4x4 payload capacity. Aggressive 17-inch off-road wheels are available and Rubicon models get 33-inch tires as standard. Jeep will build the Gladiator at its Toledo factory in Ohio. Production is expected to begin in the first half of 2019 before customer deliveries kick off in Q2 2019.